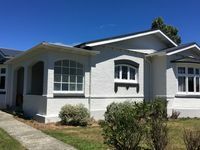 Properties in Tuatapere average 4.4 out of 5 stars. 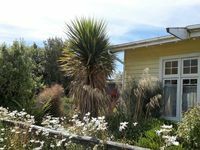 We had the best stay at Aunt Tui&rsquo;s, the house is full of charm and interesting things. It is in the best position for all of Tuatapere&rsquo;s amenities. We would have loved to stay longer and will be staying again in the future. The property is beautiful, quiet and secluded off the street, but close to the grocery store and the excellent Last Light Lodge &amp; Caf&eacute;. We loved the updated kitchen and bathrooms, the lovely garden area, the comfortable bedrooms (my husband continues to rave about the comfort of the bed), and the overall charming style throughout.